Jewelry doesn’t just add glamour to an outfit. It also allows you to express your individuality - a fact that these incredible Black-owned jewelry businesses understand perfectly. What makes these companies stand out from the rest isn’t just the talent of the founding designers, but also their wide arrays of innovative creations and African-inspired pieces. Billie Hilliard is a go-to for timeless, finely crafted jewelry. Billie M. Hilliard founded the company in 2007; her pieces have since been worn by Beyoncé, Anna Camp, Tracee Ellis Ross, and other celebrities. In her workshop at the Goat Farm Art Center in Atlanta, Billie designs these heirloom pieces that can be passed down for generations to come. Made by Malyia features distinctive designs inspired by the stately architecture of New York City, where founder Malyia McNaughton makes each piece of jewelry by hand. Other influences for her eye-catching collections include African culture, indigenous tribal adornment, and nature. These elegant, understated pieces are perfect for layering. Designed for the eclectic woman, Edas Jewels focuses on feminine staple accessories that can be worn every day. Each piece is handmade and uniquely tailored to provide customers with truly one-of-a-kind jewelry. 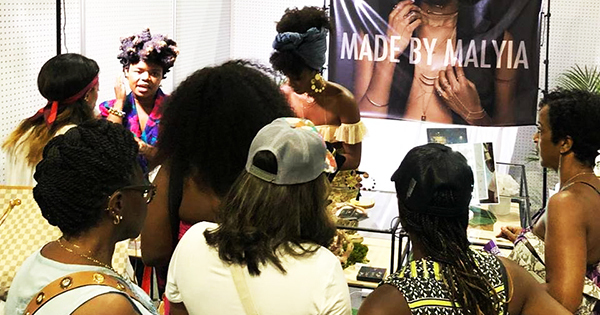 This Black-owned jewelry business was founded by artisan and educator Sewit Sium, who has been designing history-inspired jewelry for over a decade. She believes fashion is a powerful form of storytelling that can provide insight into history, culture, and tradition. Handcrafted pieces in her line range from amulets to talismans. Adele Dejak produces luxurious, African-inspired jewelry dedicated to celebrating various cultures. The company also creates employment opportunities in Kenya - where each piece is crafted by hand - and teaches technical skills to its employees. Products include contemporary necklaces, earrings, rings, and bracelets made with eco-friendly materials.